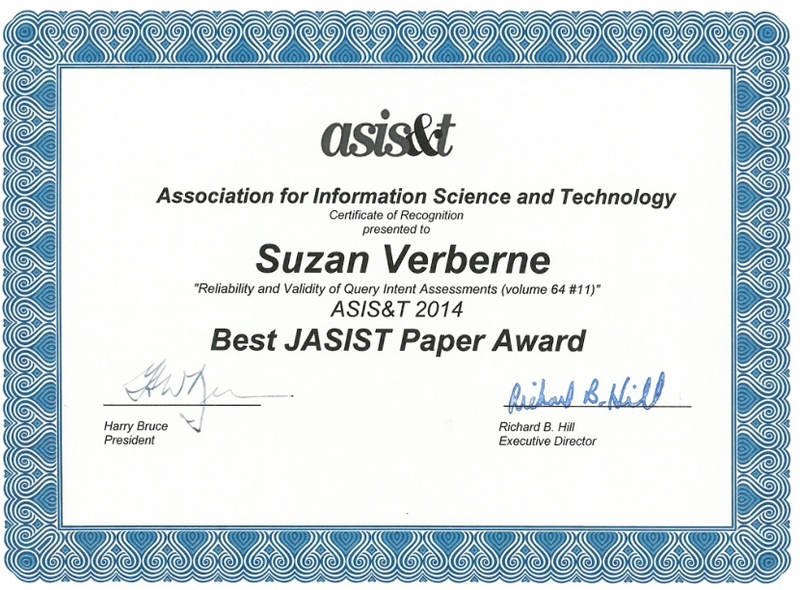 I am a researcher on the edge of Natural Language Processing (NLP) and Information Retrieval (IR). My current research focus is on text mining and retrieval in complex domains. From March 1st, 2017, I have been employed as an Assistant Professor at the Leiden Institute of Advanced Computer Science (LIACS). I am affiliated with the Data Science Research Programme of the Leiden Centre of Data Science. I am group leader of Text Mining and Retrieval Leiden. I currently supervise projects that implement and evaluate methods in the legal, the archaeological, the policy-making, and the health domain. My group works with a large diversity of textual data: grey literature reports, scientific and legal publications, EU law texts, health records, user-generated content in online patient communities (discussion forums), and news posts on social media. I collaborate with many different public and private partners such as Sanoma, YoungCapital, the Ministry of Finance, The Dutch National Institute for Public Health and the Environment (RIVM), Hogeschool Codarts, and KankerNL. 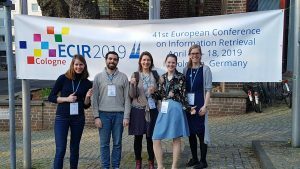 I was at ECIR 2019 in Cologne together with my PhD students Anne, Gineke, and Juan. They presented their work in two workshops on Sunday. We are having a Women in IR meeting at ECIR 2019, on Wednesday April 17. If you plan to attend ECIR then please sign up for the WIR meeting here. Together with Michael Emmerich and Frank Takes, I represent LIACS in the RISE_SMA project on Social Media Analytics for Society and Crisis Communication. RISE_SMA is an interdisciplinary, international network combining excellent scholars and practitioners. We have the kick-off meeting on 15 and 16 April in Duisburg, Germany. Leiden University published a research dossier on Artificial Intelligence. Now online: “User Requirement Solicitation for an Information Retrieval System Applied to Dutch Grey Literature in the Archaeology Domain” by Alex Brandsen, Karsten Lambers, Milco Wansleeben, Suzan Verberne. Juan Bascur Cifuentes has joined my group with his PhD project “Interactive visual browsing and retrieval of scientific literature”, co-supervised by Ludo Waltman and Nees-Jan van Eck of the CWTS. Our paper “Narrative detection in online patient communities” (work by Anne Dirkson) has been accepted for the Text2Story2019 workshop at ECIR! The paper “Digging in Documents; applying Information Retrieval techniques to the grey literature problem in Dutch archaeology” by Alex Brandsen, Karsten Lambers, Milco Wansleben, and Suzan Verberne was accepted for publication in the Journal of Computer Applications in Archaeology! 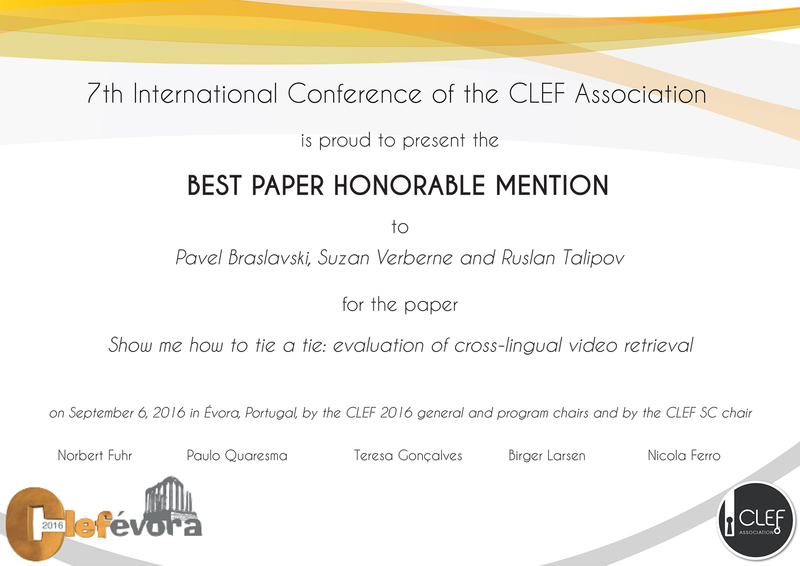 The paper “Citation Metrics for Legal Information Retrieval Systems” by Gineke Wiggers and Suzan Verberne was accepted for presentation in the Workshop on Bibliometric-enhanced Information Retrieval (BIR 2019) at ECIR! The paper “Predicting life expectancy with a recurrent neural network” by Merijn Beeksma, Suzan Verberne, Antal van den Bosch, Iris Hendrickx, Enny Das, Stef Groenewoud was accepted for publication in BMC Medical Informatics and Decision Making. On February 13, 2019 I was examiner for the PhD defense of David Maxwell at the university of Glasgow. 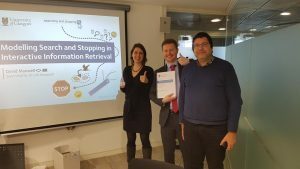 He defended his thesis titled “Modelling Search and Stopping in Interactive Information Retrieval”. On the day before the event I presented my work on evaluating complex search tasks in the Interaction in Information Retrieval workshop. The semester has started! I am teaching the elective bachelor course on Data Science. I was interviewed for the Women in Science day at our university. The paper “Query-based summarization of discussion threads” by Suzan Verberne Emiel Krahmer, Sander Wubben, Antal van den Bosch is accepted for publication in Natural Language Engineering! ICT with Industry 2019 was a success! As previous organizer, I am now a member of the steering committee for the next three years. Our work “The reach of commercially motivated junk news on Facebook” (pre-print on arXiv) received a lot of media attention on 24/25 January. The paper “Analyzing Empowerment Processes among Cancer Patients in an Online Community: A text mining approach” by Suzan Verberne, Anika Batenburg, Remco Sanders, Mies van Eenbergen, Enny Das, Mattijs S. Lambooij is accepted for publication in JMIR Cancer! I will be Doctoral Consortium chair for ECIR 2020. I am invited editor of the special issue “Text Mining in Complex Domains” of the MTI journal. The Dutch-Belgium Information Retrieval workshop 2018 (DIR 2018), organized in Leiden in November 2018, was a success! The proceedings are available on arXiv.